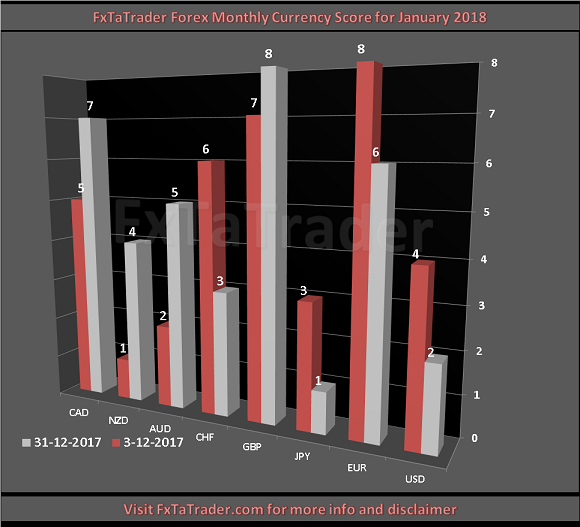 The Top 10 of the Ranking and Rating list for the coming month shows the following stronger currencies being well represented for going long: the GBP(5X) followed by the EUR(2X) with the CAD(2X). The weaker currencies are the JPY(4X) followed by the USD(3X). 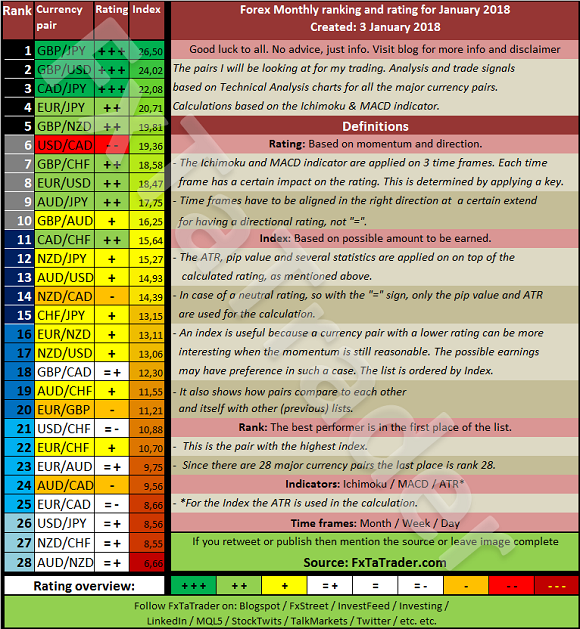 The Chart for this month is the AUD/JPY Weekly chart. Price is clearly in an uptrend and made a high lately. It made a pullback towards the Ichimoku cloud and recovered. Price broke last week through an important resistance level, see the yellow dotted line. The PSAR turned also positive for taking long positions. A nice buy opportunity would be when the MACD crosses the signal line and this will be clear at the end of this week. As long as the MACD remains above the signal line and price remains above the Tenkan-Sen, Kijun-Sen and the Ichimoku cloud taking long positions seems a good opportunity. The AUD is a strong currency and the JPY a Weak currency. The Currency Score Difference is 4.